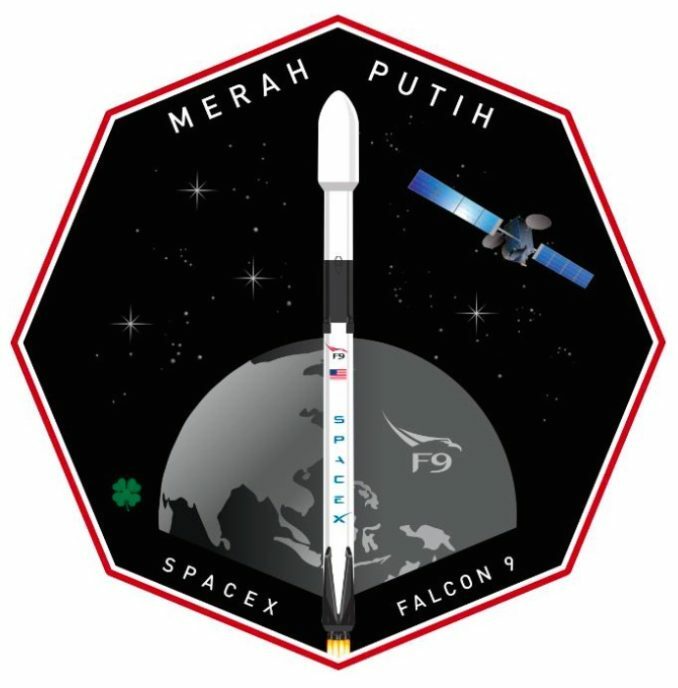 Forecasters expect good weather on Florida’s Space Coast for liftoff of a Falcon 9 rocket early Tuesday with an Indonesian communications satellite. The two-hour launch window opens at 1:18 a.m. EDT (0718 GMT) Tuesday, and SpaceX ground crews plan to raise the 229-foot-tall (70-meter) Falcon 9 rocket vertical at Cape Canaveral’s Complex 40 launch pad Monday for final countdown preparations. The payload for Tuesday’s mission is named Merah Putih, representing the red and white of the Indonesian flag. 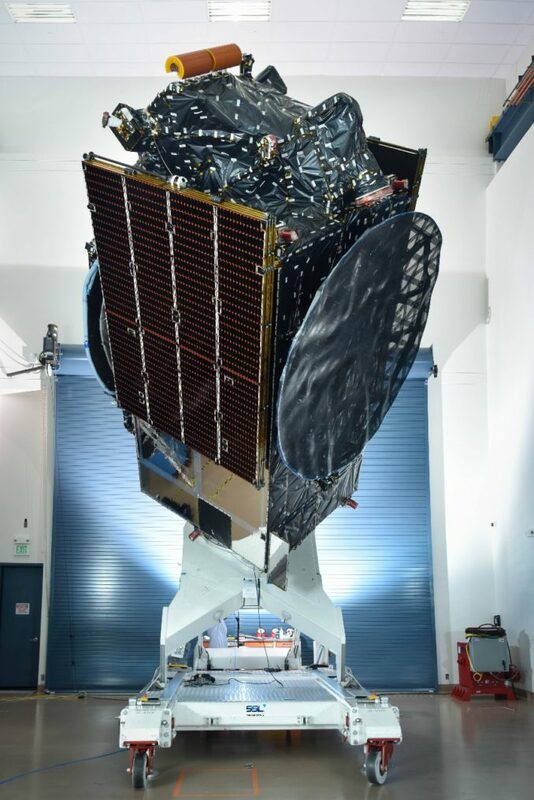 Previously known as Telkom 4, the Merah Putih satellite is owned by Telkom Indonesia and is heading for a perch in geostationary orbit more than 22,000 miles (nearly 36,000 kilometers) over the equator. 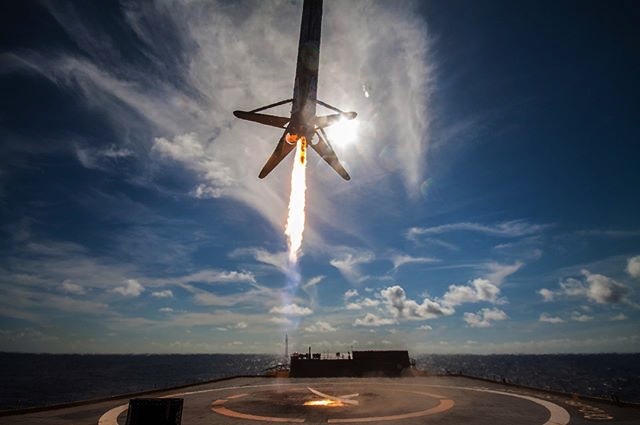 SpaceX test-fired the rocket Thursday in a customary pre-launch static fire test, and the company has confirmed the launch Tuesday will reuse the first stage booster first flown May 11 on the maiden flight of the upgraded Falcon 9 Block 5 rocket. The improved version of the Falcon 9 has now launched three times with upgraded first and second stages together on the same flight, but Tuesday’s mission will be the first time a Block 5 first stage booster has been re-launched. 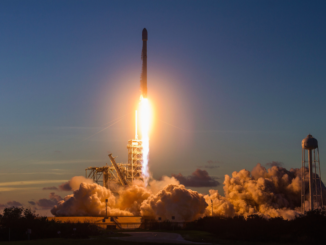 SpaceX recovered the first stage from the May 11 flight, which deployed Bangladesh’s first communications satellite named Bangabandhu 1 into orbit, aboard a drone ship in the Atlantic Ocean. SpaceX intends to recover the reused stage again after Tuesday’s launch. 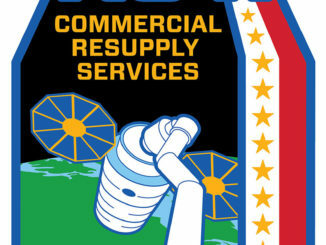 The company’s drone ship “Of Course I Still Love You” is en route to a position a few hundred miles east of Cape Canaveral in the Atlantic Ocean, the targeted touchdown point for the first stage. SpaceX was expected to conduct more invasive and time-consuming inspections on the first returned Block 5 booster, and three months after its first launch, the stage is ready to go again. 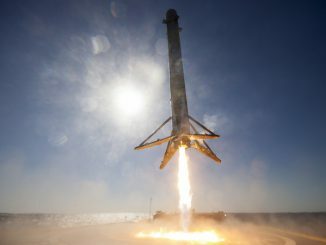 The turnaround between the Bangabandhu 1 and Merah Putih missions will not set a record for the shortest time between flights of the same Falcon 9 first stage. That distinction goes to an older-generation Block 4 booster, which launched April 18 and then again June 29 from Cape Canaveral, before SpaceX intentionally disposed of the rocket. After Thursday’s static fire test, workers lowered the Falcon 9 rocket and rolled it back inside a nearby hangar for attachment of the Merah Putih satellite. Merah Putih will provide C-band telecommunications services over Indonesia and India. The new telecom craft was built by SSL in Palo Alto, California. Forecasters from the U.S. Air Force’s 45th Weather Squadron predict an 80 percent probability of acceptable weather during Tuesday’s two-hour window. Clear skies are expected in the overnight hours, and remnants of sea breeze thunderstorms should be west of the Space Coast at launch time. “Monday night into early Tuesday morning, winds will remain easterly at the surface and northeasterly aloft,” forecasters wrote in an outlook issued Sunday. The forecast calls for a few clouds at 2,500 feet and a few clouds at 30,000 feet, light easterly winds at 8 to 10 mph, and a temperature of 77 degrees Fahrenheit at launch time. If the launch gets delayed to Wednesday, there is a 70 percent probability of good weather as more moisture arrives in the area, raising the chances of thick clouds.